Detroit drivers pay too much – way too much – for Michigan auto No Fault insurance. But Mayor Mike Duggan is intent on pursuing plans that will make things far worse for Detroiters, and especially for those seriously injured in automobile accidents. Detroit deserves – and desperately needs – better. As readers of my auto lawyer blog know, I have been a very vocal and serious critic of the D-Insurance proposal. Car accident victims who are seriously and/or catastrophically injured will be denied the medical care and treatment they need because all medically necessary – and unlimited – medical benefit coverage they’re currently legally guaranteed under Michigan’s No Fault Law will be replaced by woefully inadequate caps, managed care and insurance companies playing doctor by requiring “preauthorization” for necessary medical care and treatment. Where is the promised savings? There is currently no guarantee of meaningful, long-term savings for Detroit drivers. Plus, with all of the enormous cost shifts that will occur as a result of the new and very low caps on No Fault medical benefits, there’s a good chance the D-Insurance plan will do more financial harm than good. With all its misguided focus on recklessly capping No Fault medical benefits and forcing managed care on auto accident victims who should be able to choose their own doctors, the D-Insurance plan inexplicably ignores the most effective solution for the issue Mayor Duggan has repeatedly insisted is driving the Detroit automobile insurance problem: Implementing a truly fair No Fault medical-provider fee schedule to substantially lower No Fault medical claim costs. This will do far more to reduce high auto insurance prices for Detroit consumers. I recently read The Detroit News’s reporting that Mayor Duggan is “not giving up on” his “D-Insurance program” – and given rumors that the mayor will address the issue in his upcoming State of the City address – I think now’s the time to restart the conversation about what Detroit drivers truly need – and deserve – in a plan that would actually fix the problem. Today, I will discuss the first two of my points and, tomorrow, I’ll address why No Fault medical-provider fee schedules are an effective solution that will make auto insurance more affordable for Detroit residents. In April and May 2015, Detroit Mayor Mike Duggan started to publicly roll out details about his D-Insurance Plan. However, the specific terms did not become official until they were made part of a formal piece of legislation, which came to be known as “Substitute for Senate Bill 288,” which was voted out of the Senate Insurance Committee on June 9, 2015. No catastrophic coverage. Under the D-Insurance Plan, an auto accident victim who suffers a catastrophic injury will not be covered by the Michigan Catastrophic Claims Association. But, instead, he or she will need to rely on his or her health insurance company, on Medicaid/Medicare, on his or her personal services, resources and/or assets, on lawsuits against the at-fault drivers and/or go without the treatment and services they need for their care, recovery and rehabilitation. $25,000 cap on all No Fault benefits for non-critical medical care, wage loss AND replacement services. Under the D-Insurance Plan, an auto accident victim’s combined No Fault medical, wage loss and replacement services benefits would be capped at $25,000 (page 20). In other words, if after leaving the hospital, a crash victim needs an MRI, a back or neck surgery, requires physical and/or occupational therapy, attendant care post-surgery, replacement services and reimbursement for lost wages, then his or her auto insurer will be required to pay only $25,000 of those costs. After this, it is essentially financial ruin, personal bankruptcy and Medicaid for any injured Detroit auto accident victim who did not have great private health insurance beforehand – this includes most of the people in Detroit struggling to pay high car insurance prices and find good jobs. $250,000 cap on “critical care” medical costs. Under the D-Insurance Plan, an injured auto accident victim’s “critical care” coverage (i.e., emergency room and/or trauma center until the point that the victim is stabilized) is capped at $250,000 (page 20). Significantly, the $250,000 in coverage does not transfer over to and/or cover non- “critical” medical care or “charges relate[d] to post-stabilization services.” Once an auto accident victim is “stabilized,” i.e., the “individual can safely be discharged or transferred to another acute care hospital or trauma center or to a rehabilitation or other facility,” then the $250,000 in “critical care” coverage terminates – regardless of how much of the $250,000 may have gone unspent. No choice of doctor for auto accident victims under D-Insurance’s “managed care” system. Under the D-Insurance Plan, an auto accident victim could be forced into an auto insurer’s “limited provider network,” i.e., managed care, where “the insurer may require an injured individual … to obtain” treatment and care “from a provider … that is part of the [insurer’s] limited provider network” (page 25). As an auto accident attorney, I believe this is one of the ugliest and nastiest parts of this plan. I see the doctors that are routinely selected by insurance companies already and the harm they do finding nothing wrong with even the most seriously injured when they perform compulsory insurance medical exams. As an attorney, I have every reason to believe these doctors will do anything they can to keep people within the $25,000 total No Fault cap, even when diagnostic testing and referral to medical specialists is desperately needed. No guaranteed savings. The Senate Insurance Committee’s version of the D-Insurance Plan (“Substitute for Senate Bill No. 288”) contains no guarantee of meaningful, long-term savings for consumers. Considering the incredibly important legal rights that will be taken away from Detroiters, this failure to guarantee savings on auto insurance is unconscionable. I would oppose this plan regardless, but if there were truly massive savings available under D-Insurance, I could at least see the argument as to why it is necessary to help Detroit. Without these savings guarantees, it is simply an insurance company’s wish list, being forced down the throats of those who depend on auto No Fault insurance the most, and who are least able to manage without it. Increased health insurance costs: Good jobs is the #1 issue for Detroiters. Good jobs are hard to find in Detroit. D-Insurance will make them harder to find. 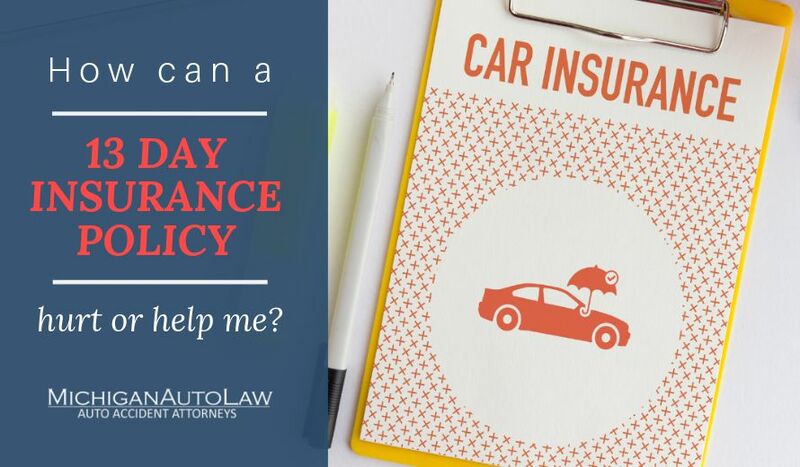 Injured auto accident victims will be turning to their health insurance for coverage of their motor vehicle crash-related medical expenses (which will run into the millions of dollars), health insurers will be increasing their prices to adjust to the increased risk they face. That increases the costs of providing health insurance on employers, and makes good jobs harder to find. Increased out-of-pocket costs for automobile accident victims. Crash victims and their families will have to pay out-of-pocket for crash-related medical expenses, which will have the following adverse consequences: Draining personal savings, resources and assets; taking on debt; declaring bankruptcy. Notably, the medical bankruptcy rate in the U.S. is already approximately 57% (i.e., approximately 57% of all bankruptcies are based on medical debt). Increased legal costs. More people will be forced to hire auto accident lawyers like myself and more lawsuits will be filed, clogging the courts unnecessarily. When a crash victim’s crash-related medical expenses exceed the D-Insurance plan’s cap, the auto accident victim will be forced to sue the at-fault driver for coverage of the victim’s medical expenses that are in “excess” of the cap. 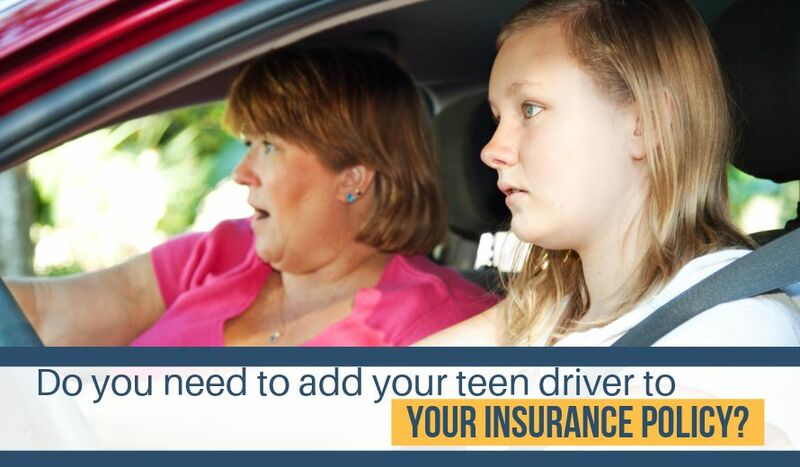 Increased auto insurance costs. As litigation over medical benefits in “excess” of the D-Insurance plan’s medical-benefits cap increases, drivers will protect themselves against “excess” medical liability by purchasing liability policies and uninsured and underinsured motorist policies with higher limits – and thus, with higher auto insurance price tags to plug the huge gaps that D-Insurance will create. Additionally, as medical bills and medical debt grows, this will affect and lower car crash victims’ credit ratings, which – because of the ugly, but quite legal way, in which auto insurance companies now use credit-scoring – will again ultimately lead to higher auto insurance prices. As noted above, the medical bankruptcy rate in the U.S. is already approximately 57% (i.e., approximately 57% of all bankruptcies are based on medical debt). Tomorrow, I’ll discuss how implementing a No Fault medical-provider fee schedule to lower No Fault medical claim costs and, thus, reduce prices for consumers. D-Insurance is not the solution Detroit needs to lower auto insurance prices.